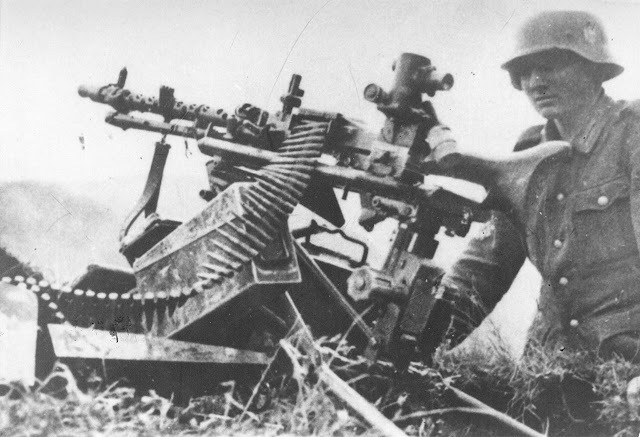 The Germans were temporarily suspended from further activities against The Main Operational Group (MOG) after the failure in the Battle of Neretva, but they followed the progress of MOG to the east. In mid-April 1943,the German command made a decision to launch a new offensive against MOG with a code name "Fall Schwarz". 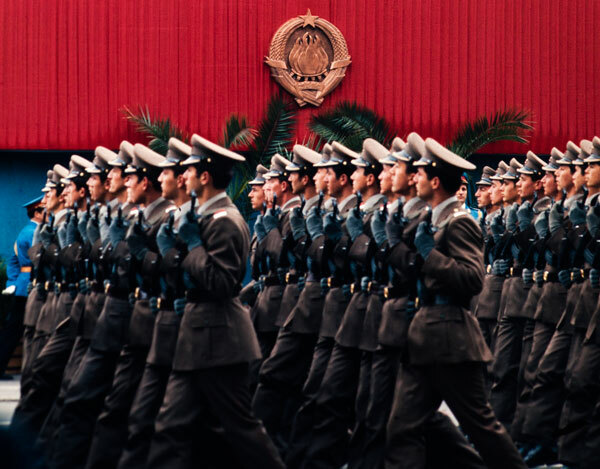 Immediately, in strict secrecy, they started preparing and moving units that were to participate in the operation on the Partisan Free territory controlled by MOG. During the Operation Fall Schwarz, the Germans intended to encircle MOG and thus destroy the Partisans between Piva and Tara rivers. In total, 127.000 troops, 8 artillery regiments, tanks and squadrons with about 300 aircraft were engaged in the offensive. In total, they had 16 brigades and two artillery battalions with around 15.700 soldiers and about 4.000 wounded and suffering from typhus. On the morning of May 15, the movement and actions by the Axis powers against the Partisan free territory began. During first five days, theGermans achieved significant results.They succeeded to discard the unit of MOG near Gorazde and Čajniče and thus threaten the Central Hospital. By May 20, there was a lull at the front, kept by the 7th Banija division. The Italian units did not launch an offensive against the 7th Banija Division. After two days of fighting, the 1st Mountain Division from the direction of Kolašin forced the1st and the 2nd proletarian divisions to retreat to the north. 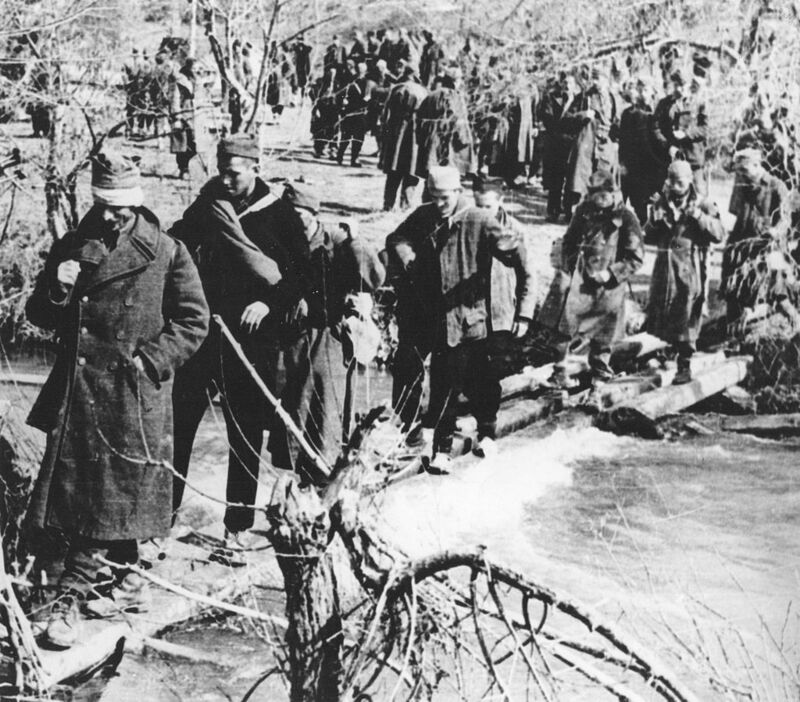 The 7th SS Division was moving towardsGacko and Nevesinje and they reached these cities after five days of fighting. During the first five days of fighting, thePartisan Headquarters recognized the intention of the German command. Therefore, they took countermeasures for offensive operations and ensured the exit from encirclement. Until May 21, the Germans almost closed the ring around MOG, but their units were quite dispersed. 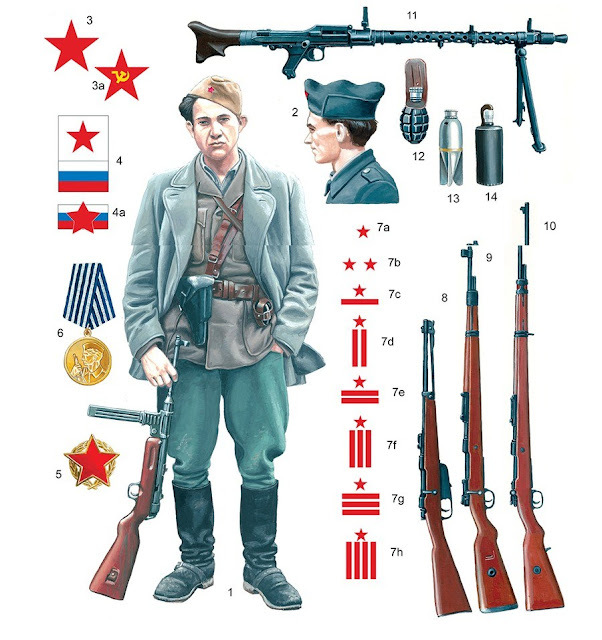 On May 22nd, the 1st Proletarian Division managed to defeat the German and Home Guard units near the village of Čelebići and thereby eliminate the immediate threat to the Central Hospital. On May 24, the 1st Proletarian Division performed a general attack on the positions of the 118th Jager Division. 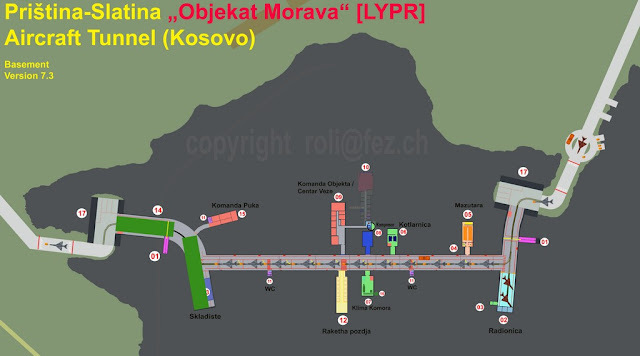 After two days of fighting, the 1st Proletarian Division failed to break through the encirclement near Foča. 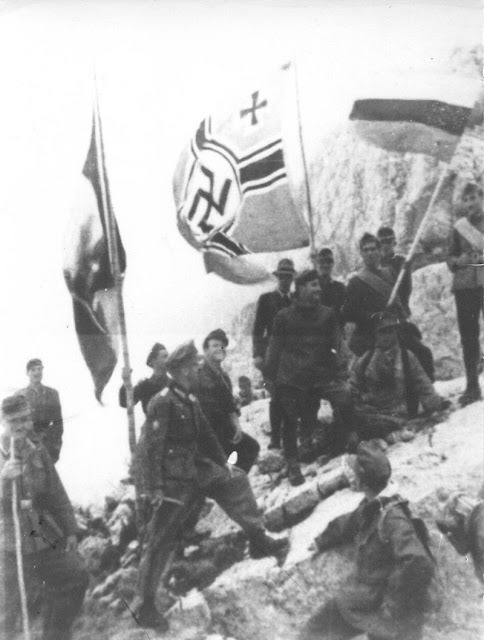 After this failure, the 2nd Proletarian Division managed to conquer the Vučevomountain range. Vučevo had an important strategic role. 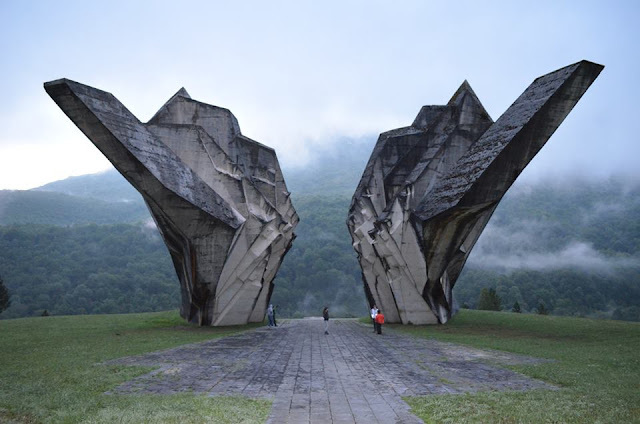 Whoever kept Vučevo, also controlled the valley of Sutjeska. After 10 days of fierce fighting, the German forces did not achieve the operational objective, but MOG was also unable to break the encirclement. 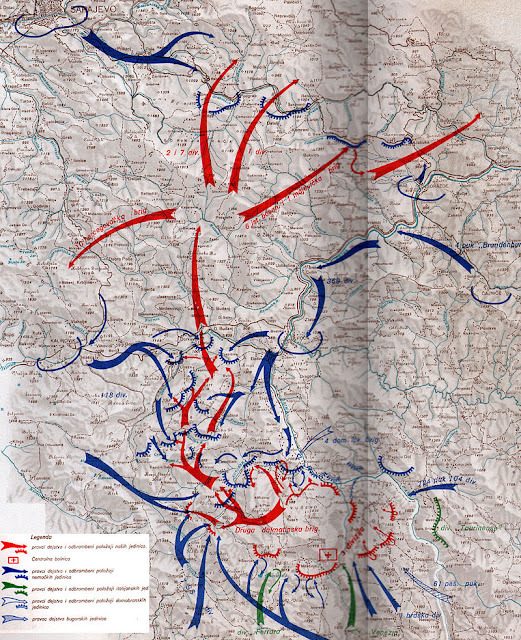 On May 25, the Partisans gave up on trying to break the encirclement near Foča. The next day, the Supreme Headquarters decided to make an attempt of a breakthrough at Vučevo and Sutjeska. 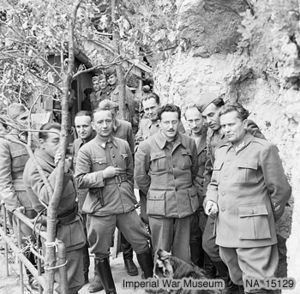 In the night between May 27 and 28, the British Military Mission arrived at the Supreme Headquarters. Shortly after, all units were ordered to move towards the valley of Sutjeska. During these movements of the Partisan units, the German Battle Group „Anaker“ was trying to take control of the Vučevo mountain range. The Battle Group „Anaker“ made a number of violent attacks, but after several unsuccessful attempts they had to withdraw. The regrouping of Partisan units was completed on May 31 and the Supreme Headquarters decided to expand the bridgehead of Sutjeska. 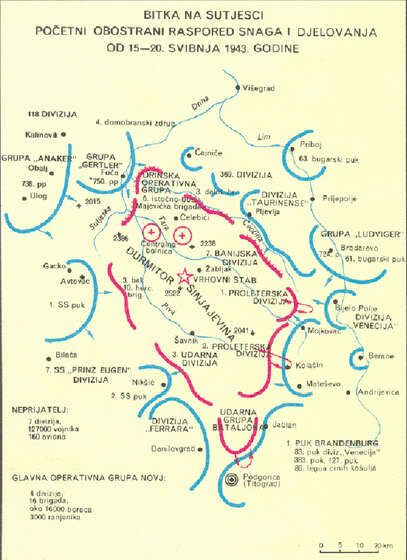 Fierce battles were fought at Tjentište, LjubinGrob, Vučevo, Bare, Lika huts, Dorcas, Popov Most, Milinklade, Suha, Vrbnica, Maglić, and Volujak; all localities lying in the valley of the Sutjeska River. 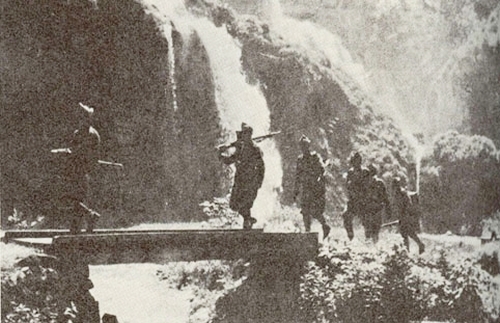 Parts of the 2nd Proletarian Division crossing Sutjeska at Tjentište 8 June in 1943. 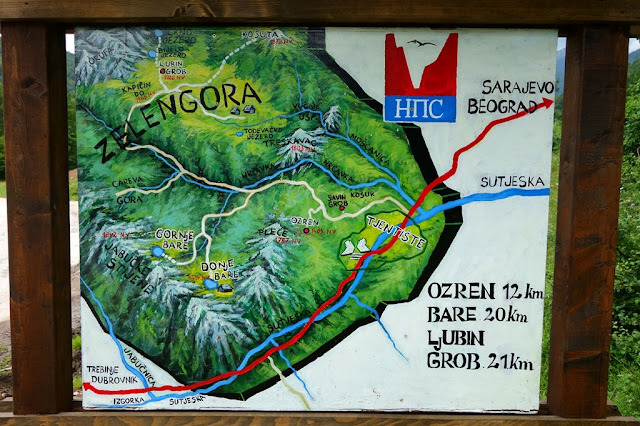 · The second group comprised of the 3rd Shock Division and the 7th Banija Division with the Central Hospital was to break through across the Tara River and further towards Sandžak. All partisan units were in a difficult and uncertain situation due to exhaustion and famine. On the same day, the fights for a breakthrough began. In the next three days, the 1st and the 2nd proletarian divisions led fierce fights for every rock and every tree. On the other side, the second group was not able to break through over the Tara River. Therefore, the headquarters of the second group decided to break through to the first group, but there was less and less time. Prior to the beginning of the main fight, an order was issued to bury all heavy weapons, burn archives, and slaughter all horses in order to feed soldiers. 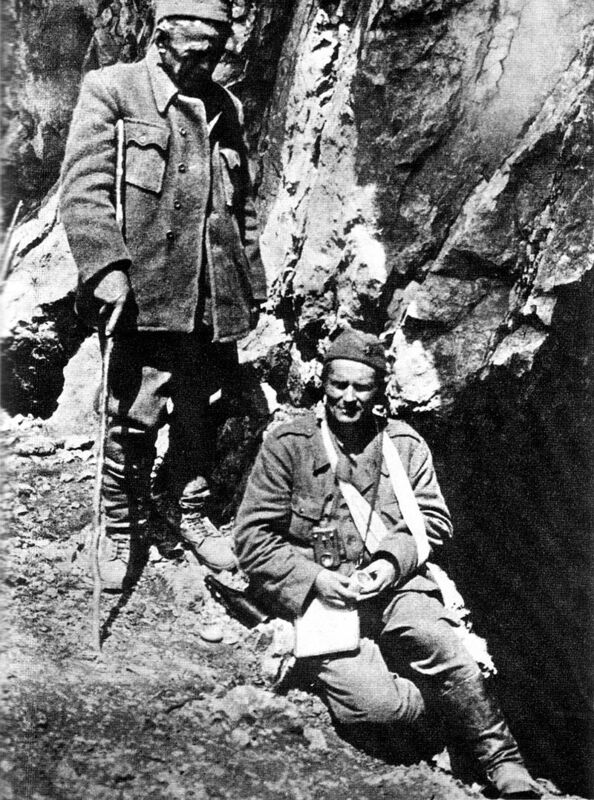 Partisan commander Josip Broz Tito and Ivan Ribar during the Battle of the Sutjeska. On the evening of June 9, the 1st Proletarian Division started the general onslaught. Wounded on Sutjeska on June 9 in 1943. On the morning of June 10, the 1st Proletarian Division broke through the positions of the 369th Division. In the area of Miljevina, the 1st Proletarian Division broke through the second hostile encirclement as well and allowed the breaking through of all units. On the same evening, the first group joined the 7th Banija Division with 600 wounded, and the fate of the 3rd Shock Division with heavy casualties was extremely uncertain. 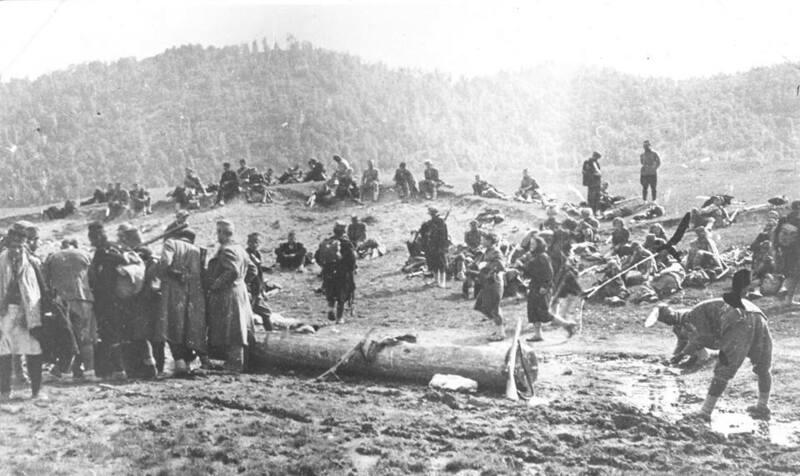 The Germans thought that only smaller units broke through across Sutjeska and that the majority of Partisan forces are still in the encirclement. Therefore, they engaged nearly five divisions against the 3rd Shock Division. On June11, the 1st Dalmatian Brigade, as a precursor of the 3rd Division, started breaking through over Tjentište. The Advancement Brigade lost connection with the Headquarters of the 3rd Division. 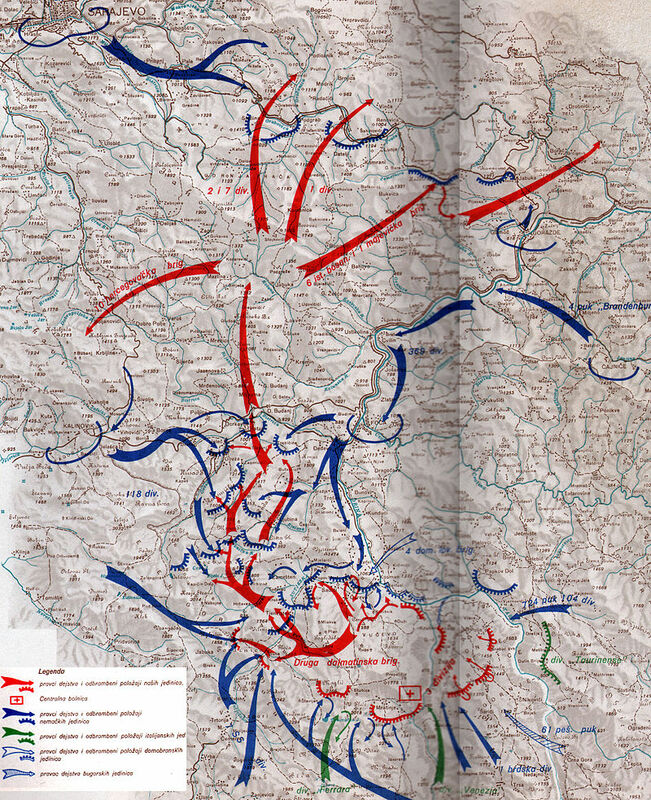 On June 13 in the morning hours, the 3rd Division launched a general attack on Tjentište. The soldiers literally stormed towards the German trenches, but around noon, the attacks started becoming weaker and weaker. Commander of the 3rd Shock Division Sava Kovačević was killed in those first onslaughts on the German trenches. The 3rd Division was broken and only soldiers in small groups continued to break through. 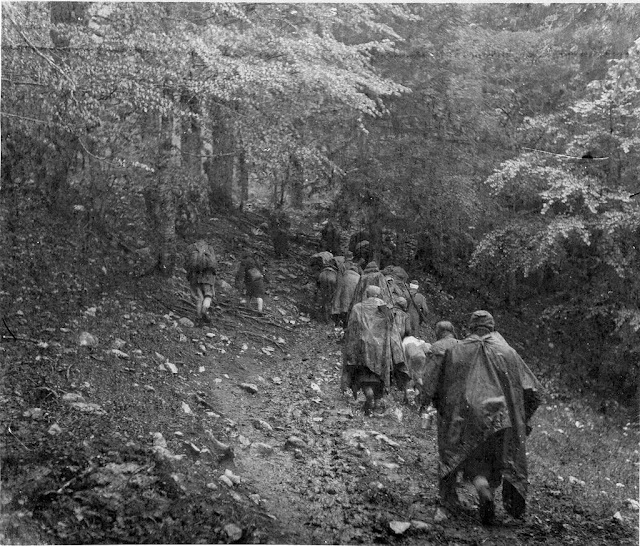 2nd Proletarian Division moving through Zelengora, during the Battle of Sutjeska June in 1943. 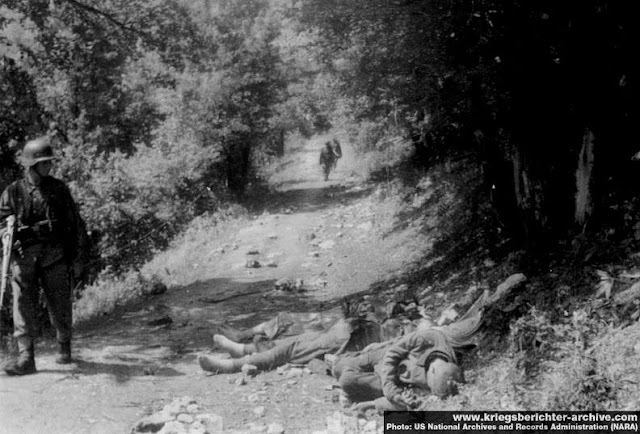 On June 14, the German units killed around 1.200 wounded Partisana. They were discovering Partisan groups with the help of dogs, following the tracks, combing valleys, forests, and caves. 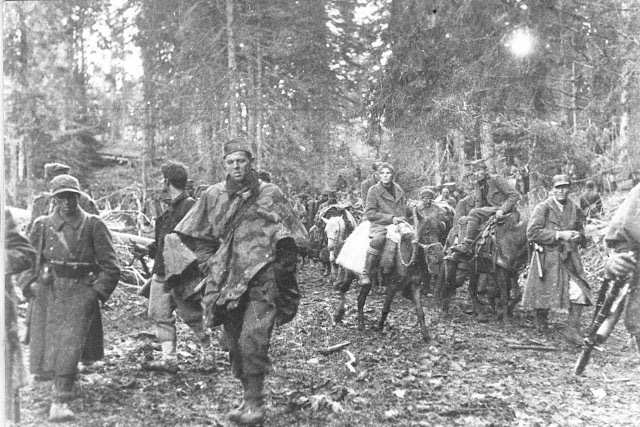 The majority of the wounded Partisans (around 700) hid on the Piva Mountain, together with nurses. However, the Germans searched fields with dogs and executed almost all of them, together with the nurses. The German report said they were all killed because most of them had been infected with typhus. 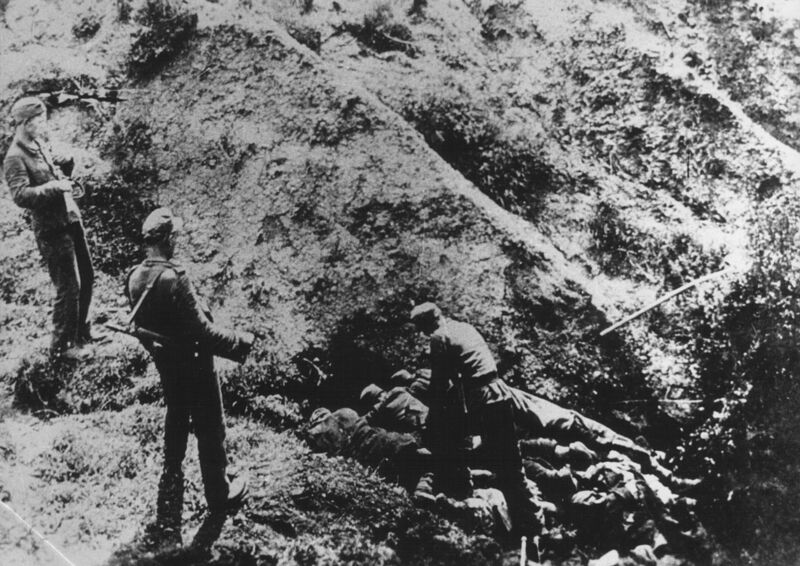 Germans killing the wounded and weak partisans on Sutjeska. 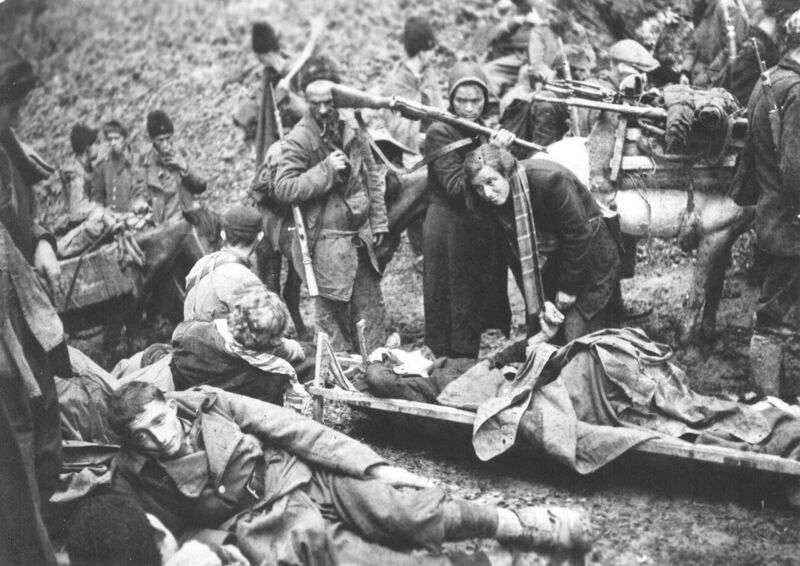 The majority of the discovered Partisans (exhausted soldiers and the wounded) were killed by the Germans on the spot. Summary report of the 1st Mountain Division for June shows that 498 Partisans were trapped in the area of their unit only, of which 411 were executed. The Battle of Sutjeska ended after a month of fierce fighting and it represents one of the most dramatic battles of the National Liberation War. During this battle, the Main Operational Group lost one-third of its manpower. Around 1,500 civilians were killed. The Head of the British Military Mission Captain Stuart was killed during the Battle of Sutjeska. The Battle of Sutjeska was a strategic turning point in the Yugoslav battlefield. The Germans gave up on the tactic "surround and destroy". The 3rd Division was able to break through in several directions, in whole or in smaller sections. However, according to the tradition of the National Liberation battles, they were trying to rescue the wounded and thus exposed themselves to direct destruction, for it was not acceptable in any way to leave the wounded to the enemy who did not respect the Geneva Convention. Neither the Supreme Command nor the Headquarters of the Third Division did not lose sight of this great moral and political fact and partisan military and human obligation. Gojko Miljanic: Velike bitke, Beograd, 1987. Drugi svjetski rat, Ljubljana, 1975. Org. Bericht Van de Tweede Wereld Oorlong, Amsterdam,1975.